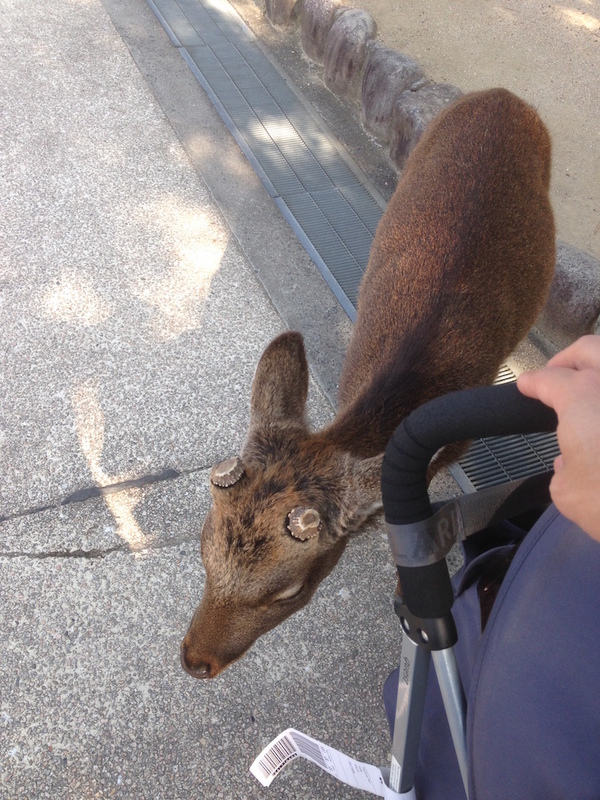 We only spent one night in Hiroshima, and one morning in Miyajima but we packed in quite a bit. We arrived at Narita Airport on a Friday morning and immediately proceeded to transport ourselves for six and a half hours across the country, and even this didn’t quite go as planned as there was some kind of delay on the train lines (even Japan is not immune). So arriving at Narita at 9am, we didn’t manage to leave until about 11.30am and didn’t get to Hiroshima until about 6pm, tired, sweaty, and smelly. So it was dinner time and we went out and looked for some grub heading back to plan out the day ahead. 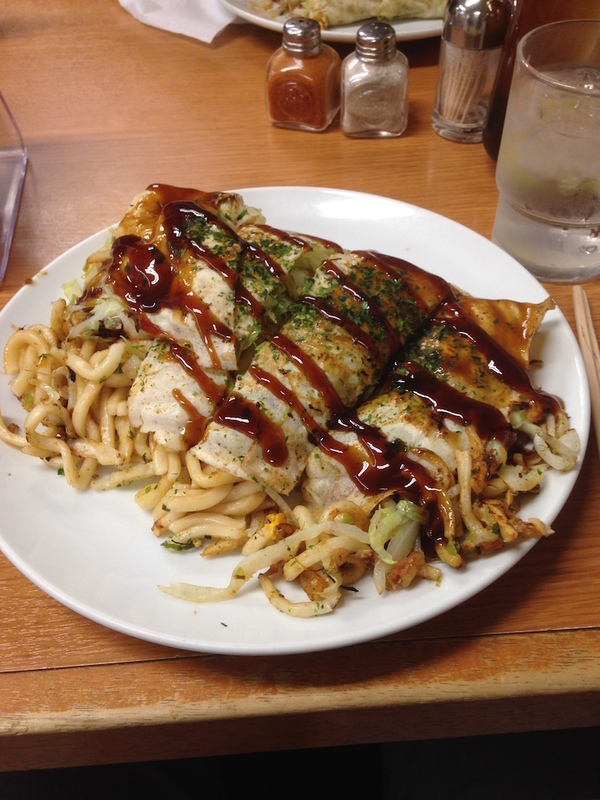 At the station we decided to try Okonomiyaki, Hiroshima style, which is basically Okonomiyaki with noodles fried in. It was okay, not great, probably regular Okonomiyaki is more to my liking. The noodles just end up making the pancake fall apart everywhere. But anyway, that was our take on Hiroshima dining, we didn’t spend enough time to try anything else other than instant noodles. 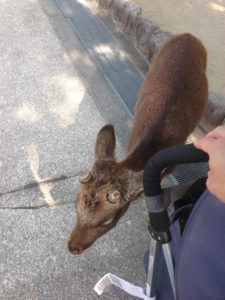 So the plan we decided on with our very precious time, was to visit the nuclear dome and the peace park in the morning then get down to Miyajima for a wander before jumping on a shinkansen to Kyoto in the afternoon. When we woke up the next morning, some of our party had noticed that a lot of people had been streaming past the building where we were staying all morning. So as we were heading to the station with all of our luggage, we saw the streams and streams of people dressed in red walking the other way. 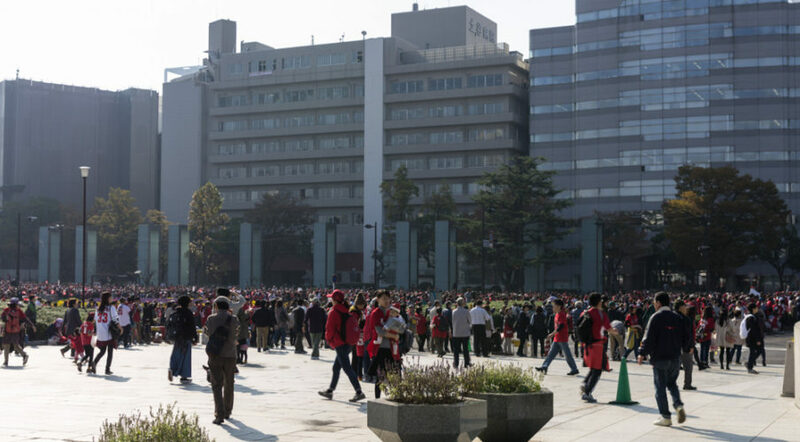 They were supporters of the local baseball team, the Hiroshima Carps, it turns out that Hiroshima is a big baseball town, and they had just won the central league championship, this merited a parade and celebration, and we had arrived just in time to see it, but we decided not to. 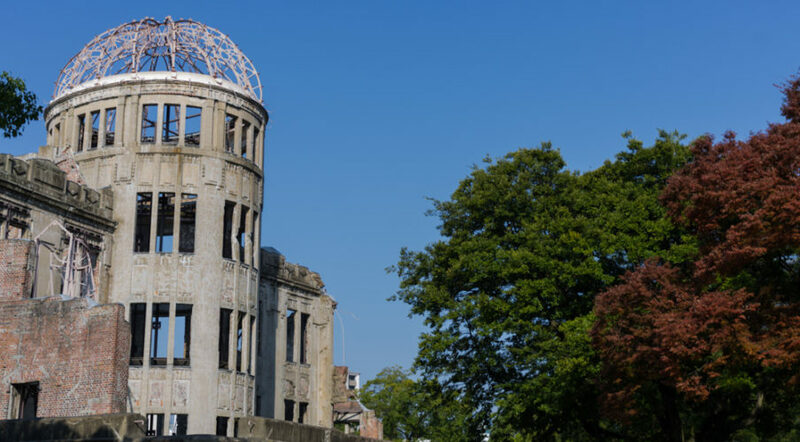 Without much time, we put our luggage into a locker at the station and caught the first bus to the nuclear dome, we didn’t plan on visiting the museum as that was most likely going to be depressing and take quite some time. We meandered around the dome building and then made our way across the bridge to the Peace Park (which was quite pleasant). 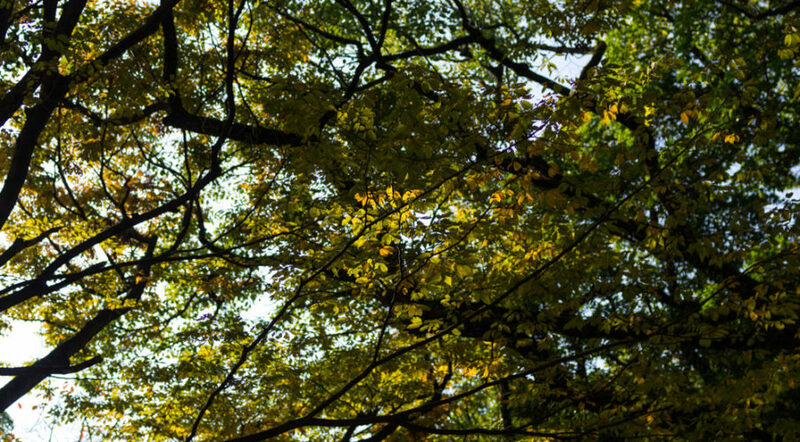 We were a little disappointed that the Autumn colours had not arrived yet, but turns out we got it wrong, and Autumn moves from north to south, so Hiroshima is probably colouring right about now! Little did we know that the baseball parade meant that the bus stops on the park side were not operating and we had to go back to the dome bus stop to get back to the train station to get the train to the ferry station to Miyajima, oops. The ferry to Miyajima is quite a short ride and once on the island we decided to split up with the rest of the group and meet back in a couple hours. Oysters are a local specialty on Miyajima so we had to try those, even with pesky deer roaming the streets looking for a free feed. This one was nosing around sleeping Oscar and me even though we didn’t have any food, I had to shoo it away before it woke up the little master. 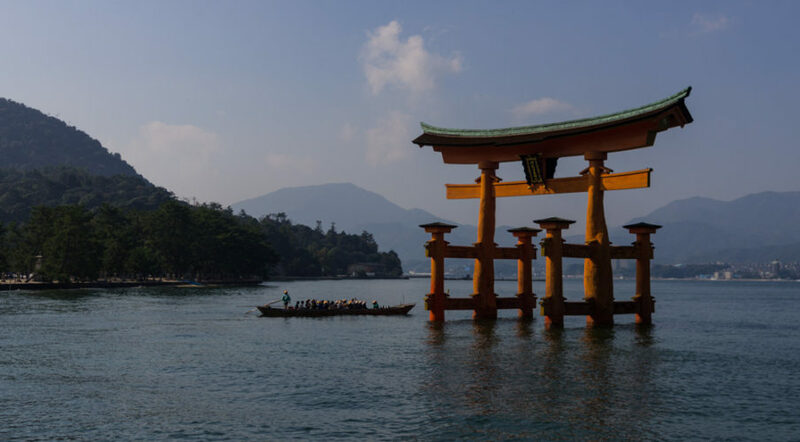 On to Itsukushima shrine and the floating torii, it’s quite a nice place to visit and I do wish we had more time there, in my head I have it planned out for next time when we visit Kyushu only. 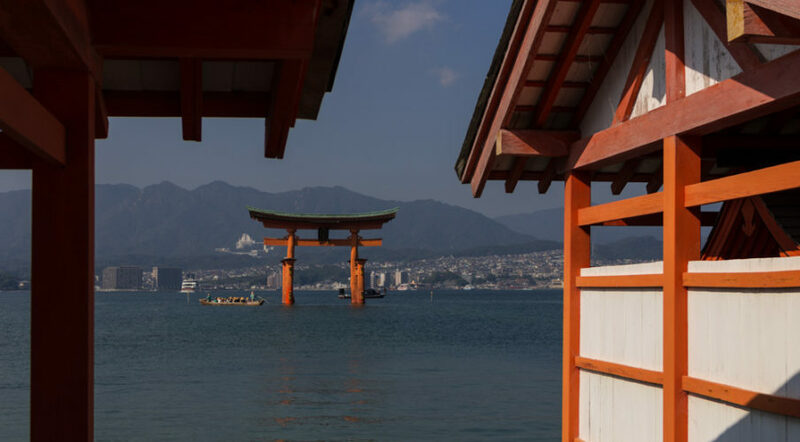 We’ll go and stay in Miyajima for one night and maybe Hiroshima as well (or just visit the Japanese garden there) so that we can walk around the trails around Mount Misen and get all of the best views of the torii with peak light. There are a lot of tourists there during the day, one would imagine in the later afternoon and evening, even in the early morning there would be much less people and a calmer atmosphere. This was truly a hectic day and half, and travelling to Kyoto as well meant that this second day was as rushed as the first (albeit with some sight-seeing mixed in). We did a fair bit in Kyoto too, so I’ll probably break that up into several posts (possibly one for each day), see ya next time! We stayed at an airbnb which was so-so, clean (obviously) and with wifi, but nothing great, weird traditional bathroom. I won’t bother linking to it since it was nothing special and you can find anything that will be the same or better.